Chip Somodevilla/Getty ImagesFomer Goldman Sachs bond-trader Fabrice Tourre, shown here in a 2010 photo, faces civil charges that he misled investors in a trial that starts Monday. NEW YORK -- The U.S. Securities and Exchange Commission heads to trial Monday against a former Goldman Sachs bond trader in a case it says highlights what went wrong on Wall Street in the financial crisis. Jury selection begins in federal court in New York in the civil fraud case against Fabrice Tourre, 34, who the SEC says misled investors in an ill-fated mortgage-securities investment called Abacus 2007-AC1. It is the highest-profile trial to date stemming from the SEC's investigation of the events leading up to the 2008 crisis and, legal experts say, presents a chance for the SEC to hold an individual responsible at trial. The SEC's case, as summed up by U.S. District Judge Katherine Forrest last month, is that Tourre "handed Little Red Riding Hood an invitation to grandmother's house while concealing the fact that it was written by the Big Bad Wolf." According to the SEC, the wolf in question is John Paulson, a hedge fund billionaire whose bet against the subprime mortgage market was chronicled in "The Greatest Trade Ever" by Gregory Zuckerman. In 2006, Paulson's hedge fund, Paulson & Co., turned to Goldman Sachs Group (GS) for help betting against subprime mortgages, the SEC said. They began discussing Abacus, which would give Paulson a role in picking the underlying portfolio of mortgage securities, the SEC said. Paulson could then short, or bet against, it through an insurance product called a credit default swap. At the time, Tourre, a French national, was 28 years old and working at Goldman Sachs in New York. He became the bank's principal employee working on what became Abacus, known in the financial industry as a synthetic collateralized debt obligation. The SEC said Abacus's marketing materials failed to disclose Paulson's role in picking the underlying assets, instead saying that a subsidiary of ACA Capital Holdings selected them. Tourre's goal, the SEC contends, was to deceive investors into buying the liabilities of Abacus. In a much-cited email sent on Jan. 23, 2007, to his girlfriend at the time, Tourre said of the financial markets: the "whole building is about to collapse anytime now." "Only potential survivor, the fabulous Fab ... standing in the middle of all these complex, highly leveraged, exotic trades he created without necessarily understanding all of the implications of those monstrosities!!!" When the underlying mortgage securities turned sour, investors including IKB Deutsche Industriebank AG and ABN AMRO Bank NV, now owned by Royal Bank of Scotland Group (RBS), lost over $1 billion, the SEC said. Paulson, meanwhile, netted around $1 billion, the SEC said. The SEC sued Tourre and Goldman in April 2010. It accused Tourre of fraud, negligence and aiding and abetting Goldman Sachs in violating securities laws. Paulson wasn't sued, and Goldman agreed in July 2010 to pay $550 million to settle the lawsuit. Tourre, who has left Goldman and is earning a doctorate in economics at the University of Chicago, rejected a settlement offer that came just before Goldman settled, a source familiar with the matter said. Sophisticated investors such as IKB had the tools to analyze the mortgage investments tied to the collateralized debt obligation, Tourre's lawyers have said, and so it didn't matter how the investments were chosen. Tourre's lawyers have also indicated in court papers they will point to news reports at the time to show how investors should have known that Paulson was betting against the subprime market. Besides Tourre himself, witnesses at the trial are expected to include Laura Schwartz, who the SEC says was Tourre's "primary point of contact" at ACA, the company listed on Abacus's marketing materials as selecting its securities. The SEC said Schwartz, now a managing director at the Seaport Group, will testify that she understood from Tourre that Paulson was investing in the equity of Abacus rather than betting against it. Tourre's lawyers have indicated they will try to challenge Schwartz's credibility as a witness because the SEC has investigated her role in a different collateralized debt obligation. It recently closed that probe. On Tourre's witness list, meanwhile, is Paulson, who with a net worth of $11.2 billion ranked No. 91 on Forbes' list of richest people in the world. A lawyer for Paulson didn't respond to a request for comment. Both sides are heavily lawyered up. In a sign of how seriously the SEC is taking the case, it will be represented by Matthew Martens, its chief litigation counsel. Former SEC lawyers say it is rare for someone in that position to try a case himself. Tourre, whose defense is being paid for by Goldman, is represented by former prosecutor Pamela Chepiga, a lawyer at Allen & Overy who counts former Marsh & McLennan Cos. CEO Jeffrey Greenberg among her prior clients. 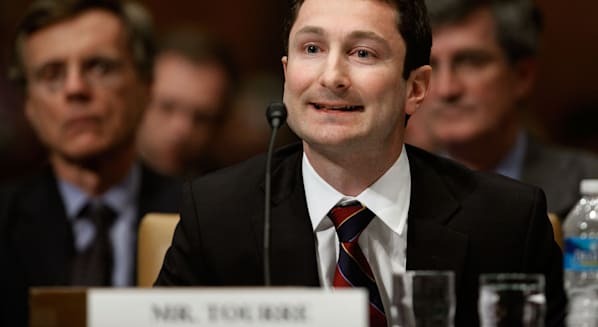 More recently Tourre brought on Sean Coffey, who is primarily known for obtaining from banks $6.1 billion in settlements for investors in WorldCom Inc.
Tourre is "confident that when all the evidence is considered, the jury will soundly reject the SEC's charges," Chepiga and Coffey said in a statement. The lawsuit is one of several enforcement actions the SEC has taken against banks and individuals involved in putting together toxic mortgage financial products. But while the SEC has reached sizable settlements with banks, it has suffered setbacks in cases against individuals. Notably, a federal jury in Manhattan rejected the SEC's claims that former Citigroup (C) manager Brian Stoker was liable for violating securities laws in connection with a $1 billion collateralized debt obligation. Disappointments like the Stoker case have heightened the stakes for the SEC in the Tourre's trial, legal experts say. David Marder, a former assistant district administrator for the SEC in Boston, said the case not only presents a chance for the SEC to redeem itself but also a rare chance for the courts to weigh in on wrongdoing during the financial crisis. "The court could use this case to make a statement," said Marder, now at Robins, Kaplan, Miller & Ciresi. "And one of best ways would be to impose a substantial penalty."